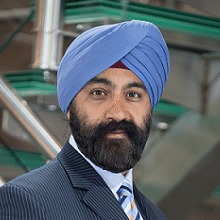 Sevatec Inc. announced Aug. 17 the appointment of Jaswinder “Manji” Matharu and Richard “Rick” Roth to its newly formed board of advisers, led by company Founder and Board Chairman Sonny Kakar. Matharu brings more than 20 years of experience to the position. He is founder, former president and CEO of Agilis International, a data warehousing and analytics company, which was acquired by Infogix in 2014. Prior to founding Agilis, he served as CEO and in chief operations officer and chief technology officer roles at Sotas Inc. and as president and CEO of Strategic Signaling Systems & Networks prior to its merger with SOTAS Inc. Matharu is currently an investor and executive in several early-stage technology companies primarily focused on business intelligence and data sciences. Roth brings more than 35 years of experience to the board. He has served as chief financial officer for five different companies during the past 20 years. In addition to his role as CFO at QSS Group, Roth also held senior finance positions with Intellisource, Sprint, Hughes Network Systems and Price Waterhouse LLP, among others.